Searching for How to increase laptop speed? In spite of having a good anti-virus installed over your laptop or pc, you may find several performance issues over your laptop. The first notable thing is that no anti-virus is able to delete all the viruses completely. There are many viruses that can bypass your anti-virus and may cause problems. Secondly, the virus is not the only problem which affects the laptop performance. There are several other reasons to look out for boosting your laptop performance to speed up the laptop. How to Increase Laptop Speed and Speed Up PC? Thinking how to increase laptop speed? Your search landed to a correct place where you will learn about several reasons that affected your PC’s health to speed up the laptop. Also, we have curated several simple tricks that will definitely help you to boost your laptop and to speed up laptop, pc performance. 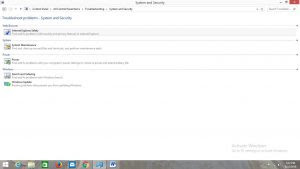 We hope that this post will help you to increase your laptop speed and remove all malicious apps or programs from your laptop. One major reason for the low performance of your laptop is its overly loaded disk space. If you free up some disk space of your laptop, then you can definitely increase laptop speed & Speed up PC performance. However, there are many ways to free up disk space of your computer or laptop. But, the most important one is to delete temporary files. Usually, these files are just wasting a lot of space on your laptop. These files or folders are used by Operating system only at the start of a program being installed. But, they completely become unnecessary afterward and these files are completely safe to delete. Many times, viruses in the laptop also gets deleted by deleting temp files. So, deleting temp files or folders offer a win-win situation in all aspects. Read more to learn the ways of How to Increase Laptop speed. Press Window key + R with your Keyboard to open up a dialog box. When the dialog box gets opened up, type a command %temp% and press Ok. 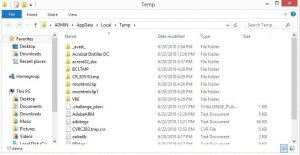 This will show up all the files or folders that are stored in the temp folder. Now, select all the files or folders by pressing CTRL + A with your keyboard. Now, press delete button from your keyboard or right click to search the delete option and then, tap on delete to delete all the temp files. 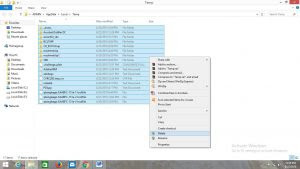 This will let you delete all the temp files or folders easily. However, if you are not able to delete all the files at once. Then, select few files and try to delete them. Thereby, deleting all the files in the temp folder to increase the performance of your laptop. 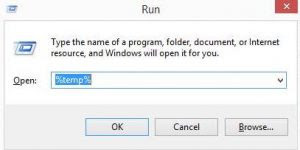 If you are not able to perform the above steps, then open your laptop’s C drive and copy and paste the following link on its address bar. Here “ADMIN” is the username of your laptop. If you use some other username for your laptop, then use that instead of “ADMIN”. However, “ADMIN” is the default username assigned to laptop by the company. If you are not able to keep your laptop or pc clean by yourself then you should download a good pc cleaning software. There are several free and paid cleaning software available in the market. This software is a must for good laptop health and offers a good optimizing tool. These type of cleaning software helps you to delete unnecessary files from system cache and several junk files from third-party apps which improves pc performance. Moreover, you get time to time notification whenever your pc junk files exceed a certain limit. So, it is better to stop thinking of how to increase laptop speed and do the necessary download. As per its name, PC Decrapifier removes a large amount of crap present inside the pc. Its way of processing is quite simple. It enhances the speed of the computer and automatically cleans all junks. Tune utilities is not a free program as it cost $40 but it’s totally worth it as it has cleaning tools present in it. Tune up utilities helps in removing unwanted files present in hard disk its privacy tools are just amazing. It’s another program for cleaning and optimizing of pc. This program is a bit costly as it requires $60 for registration. But an individual try its trial program which is free for a month and then he/she can decide whether to purchase it or not. Magic utilities primarily provide five forms of tools one for uninstalling the package, one for organizing or killing programs that run on startup, one for locating junk on your magnetic disc and belongings you delete it, one for shredding files, and one for killing any running processes. The simplest issue concerning this program is its selection and straightforward tools that permit you to perform the junk removing task simply. Advance system optimizer comes is one of the best when we talk about pc cleaning apps. It optimizes registry in your system, disk clean, improves your system’s performance, detects malware and viruses on your system, gives details on the internet and other privacy traces. This tools is available in basically 2 version free and paid. It’s available in the various language. Here, you will find all the installed apps or software on your pc or laptop. Uninstall all those apps which either looks malicious or you don’t use. Also, judge the application by its publisher. If the publisher is not well-known, then it is a great chance that it is a malicious app. Also, check its installed date, there is a high chance that newly installed apps are causing performance issues in your laptop or pc. 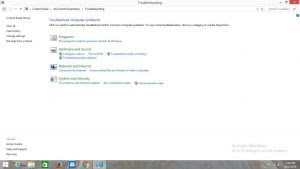 Now, search the troubleshooter by typing troubleshooter in the search box. Click system and security and then find and fix your computer’s performance issues. Empty Recycle bin from time to time. Use Shift + Del operation to delete any file completely from your device. Hope you learned about How to Increase Laptop Speed from this post. Please don’t forget to like, share and comment below. Also, follow us on Facebook or Twitter in order to receive daily updates.